We do not accept returns or exchanges on special orders, floor models, mattresses, “as is”and sale-priced merchandise. Otherwise, if you wish to exchange or receive an in-store credit, we must be notified within 5 days of delivery. Honolulu Design Center hours: Monday – Saturday 9:00am – 8:00pm, Sunday 10:00am-6:00pm Pearl Highlands hours: Monday – Saturday 10:00am – 9:00pm, Sunday 10:00am – 6:00pm What are the hours for the Kapolei Warehouse? What are the directions to the Kapolei Warehouse? Where is the Inspiration at the Honolulu Design Center located? Inspiration Interiors at the Honolulu Design Center is located at 1250 Kapiolani Blvd. We are the big orange building between Piikoi and Pensacola Street. Where is INspiration Pop up located? Do you ship to the neighboring islands? Unfortunately, at this time we do not ship out of state or internationally. What is INspiration’s warranty on furniture purchases? 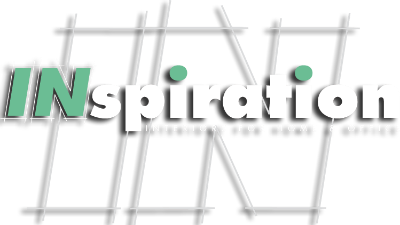 Inspiration offers a limited One Year Warranty to the original purchaser against manufacturer defects toward labor and materials or replacement. Delivery scheduling is handled by our concierge desk at time of purchase. If you have requested a delivery date with your sales person, our delivery coordinator(s) will call you to confirm. Your delivery is not guaranteed until you receive a phone call from our delivery coordinator(s). If you must call to schedule your delivery, please contact your salesperson. Do you charge for assembling furniture? Most items will be assembled at no charge. On occasion there may be a nominal fee for assembling items. Please allow 3 working days. Schedule with your sales person, at time of purchase, for your pick up date. How should I care for my furniture purchase? Do you store furniture purchases? Inspiration will hold merchandise for up to 60 days. Any merchandise not picked up/delivered within 60 days may be charged a monthly fee of 10% of the sales amount listed on the invoice. Where do I pick up my furniture purchase? The Showrooms have very limited back area space. Most items are stored at our Kapolei Warehouse. **Please accept that INspiration personnel will ask for a picture ID. This is as much for your protection, as for ours.